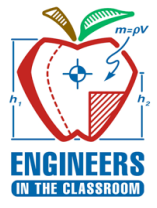 Engineers In The Classroom (EITC) has an event taking place from Monday, Feb. 20 to Thursday, Feb. 23 during Engineers Week. We are looking for EITC Ambassadors to support this event! E-Week is an exciting time for our employees and the students to celebrate the world of engineering and STEM. If you have not participated in EITC before, no problem. We are offering a training class to assist you in this new endeavor. Training will be held for Feb. 7 and Feb. 9 from 3 – 4 p.m., and will highlight all classroom activities from K - 12. Please let Troy Lambert know if you would like to volunteer and if you need training. Include the date(s), time(s) you are available, t-shirt size, and preference(s), rather it be a specific school, grade level, or area that you would like to serve (we will be serving schools as far West as Aledo, and as far East as Dallas). More information will be distributed as E-Week approaches. Classroom charging information will be provided.